Wow, so much a like. But I do like Ivanka's price. So lovely. Love that Ivanka can make these at this price. What a wonderful Sunday fine. Love these! Love these. Great tightwad deal. These shoes are fierce. I think I'd go with the Louboutins this time. I love Ivanka Trump but I like the higher heel of the Louboutins. 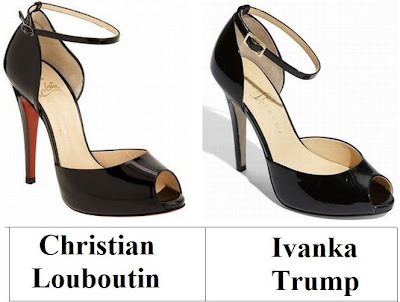 I didn't even know that Ivanka made shoes! No one can replace my beloved Loubs! Wow I love the red sole, but I'd take the cheaper shoes any time. I love me some Louboutins! I love the Louboutins! I would totally buy them...if they weren't completely out of my price range. Those are so pretty! 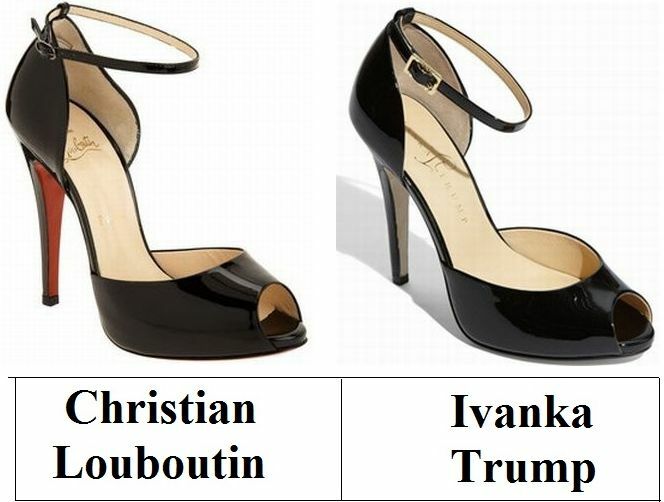 And while Loub's are fabulous, Ivanka's are too similar to justify spending more! These remind me of the 1940's! I love the Ivanka Trump ones. doesn't ivanka make great shoes (for a not bad price)???!!! I was pleasantly surprised to find I love her stuff! Well, Ivanka does have amazing style. I love the shoes, and would love to have a lot of her clothes! as much as it pains me to send money off to the increasingly annoying Trump family- I would probably go with her design right now. But in 5 years, hopefully I could spring for the other! so cute and so similar ! Usually I'm one to go for the least expensive alternative, but the Louboutins are exquisite! wow...these look very similar! great find, Erika! both are nice, but the red sole really stands out!